Scholarship applications for the 2019-2020 academic year are now available. Priority application deadline is March 8, 2019. Click here to access the online general application. Please note that you only need to submit one general application to be considered for all available scholarships for which you qualify during the academic year. Scholarships are available each academic year and are subject to available funding. *Scholarships based on financial need require the submission of a current Free Application for Federal Student Aid (FAFSA). Please use school code 005753. View additional scholarship information by visiting our Financial Aid webpage. Read Establishing a Scholarship or Program Fund for more information about establish scholarship or program funds. Special Note: Personal statement should describe how your disability has impacted your life. Special Note: Personal statement should define your Italian descent. Must be a criminal justice major or be in the Professional Law Enforcement Officer degree program. Must be pursuing a career as a police officer. Special Note: Personal statement should describe your desire to become a police officer. Designated for women and minorities as part of an agreement between Ford and the EEOC. Preference given to Ford employees, their spouses and children of Ford employees. Must provide verification of employment from a personnel office. Special Note: Eligible applicants will receive a verification form from the Foundation. It must be completed and returned to the Foundation to complete the scholarship application. Preference given to students living in Wood County, Ohio. Must be enrolled in a minimum of 6 credit hours in Fall and Spring semesters. Must have at least a 2.5 CGPA on a 4.0 scale. GSW Manufacturing, Inc. manufactures wire harnesses and other assemblies for the automotive industry in Findlay, Ohio. GSW is proud of its learning culture and wishes to encourage continuous learning. **Asset Limited, Income Constrained, Employed (ALICE): families who have income above the Federal Poverty Level, but not high enough to afford a basic household budget that includes housing, child care, food, transportation, and health care. ALICE households live in every county in Ohio – urban, suburban, and rural – and they include women and men, young and old. Must have emancipated from the foster care system and be deemed financially independent. Applicants will be required to submit a letter from the custody agency. Must be enrolled in a major in the Department of Fine and Performing Arts. Preference will be given to a student from Hancock County, Ohio. Preference given to students taking coursework for academic credit and counting toward a degree or certificate at OCC. Scholarship is renewable if recipient maintains a 2.5 or better CGPA. Applications available from the Transportation Technologies office. For information on how to apply for this scholarship, please contact the Guidance Office at the Penta Career Center or the Maumee Rotary Office. Special Note: Personal statement should state interest in law enforcement and future plans. Preference given to students who are officers of a registered student organization. Student Government officers are not eligible for this scholarship. Must be a Penta Career Center graduate whose home school is Perrysburg High School, Lake High School or Rossford High School. Penta STRIVE graduates are also eligible. For information on how to apply for this scholarship, please contact the Guidance Office at the Penta Career Center or the Perrysburg Rotary Office. 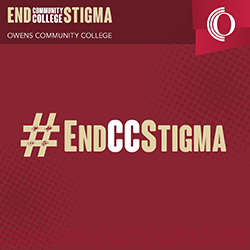 Recipients must be students taking coursework for academic credit and counting toward a degree or certificate at Owens Community College. Must have a minimum 2.5 CGPA on a 4.0 scale. Special Note: Personal statement should identify the name and company of the Tall Timbers employee. Special note: Personal statement should identify the name and company of the Toledo Automobile Dealers Association employee. CGPA = cumulative grade point average.